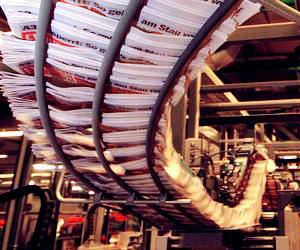 Machinery in the printing industry is designed to work during very long or working cycles or non-stop, at high speeds. These factors in and of themselves involve an ignition hazard which can be aggravated by machinery lubrication, inks used for printing, etc. Fires in these environments spread rapidly due to the amount of paper, cardboard and other materials in this type of environment. There are many different types of mechanisms used for printing, so the protection must focus on each of these machines to ensure the most effective protection.